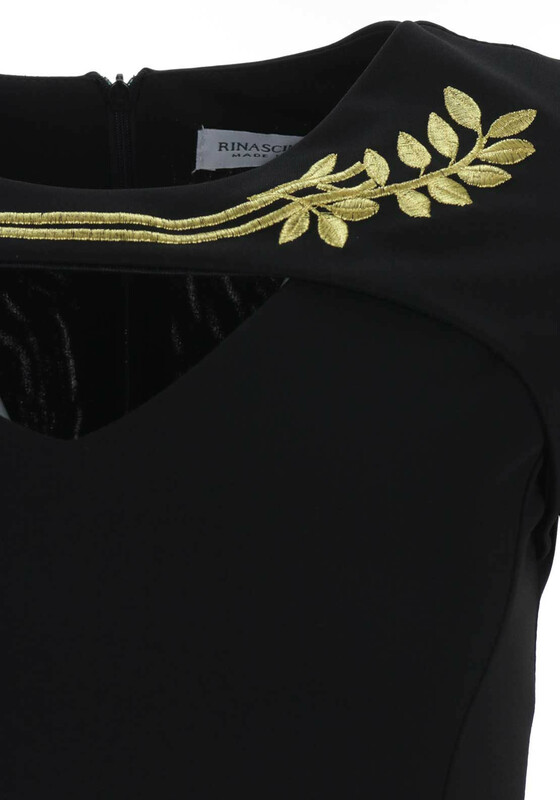 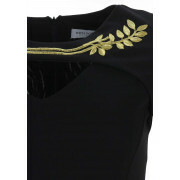 A gold embroidered leaf pattern adds an extra touch of luxury to this plain black dress from Rinascimento which would be a stylish choice for an important party. 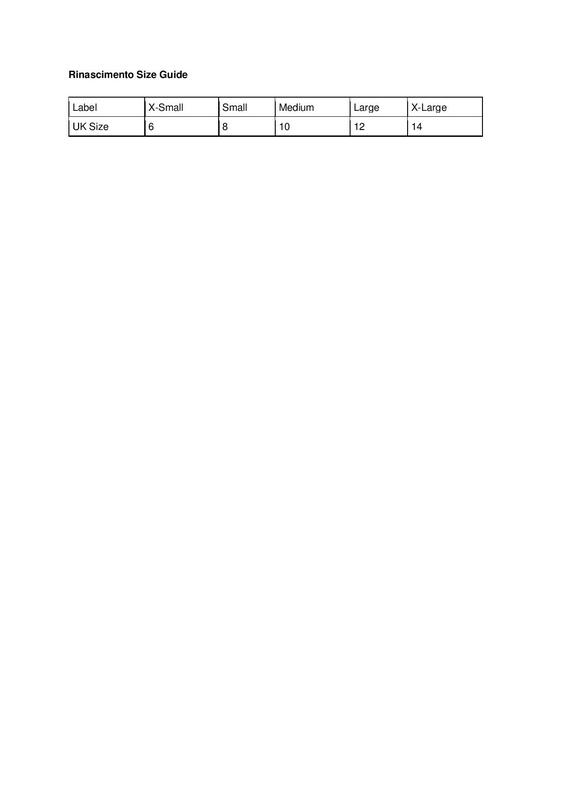 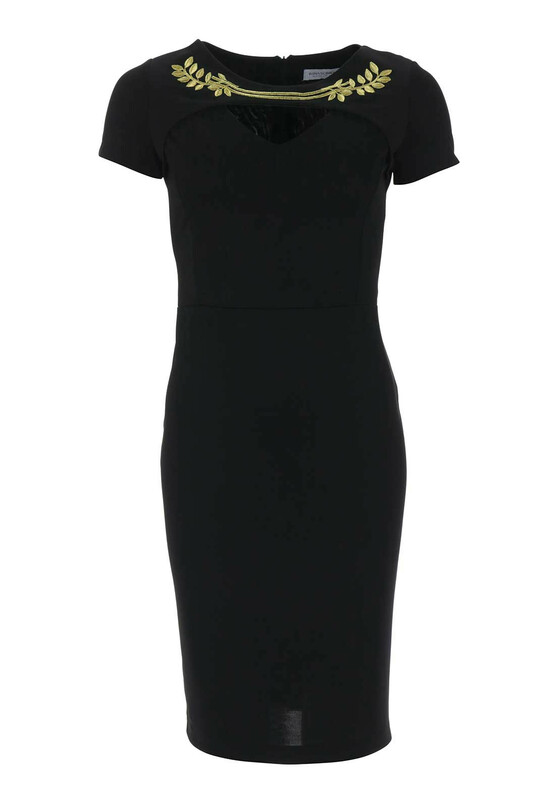 Designed with a figure fitting bodycon shape and made from super stretch jersey fabric. 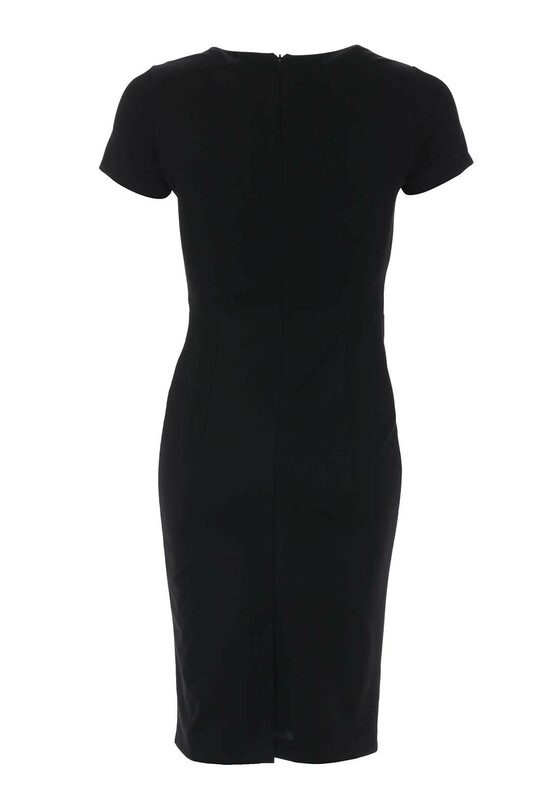 Finishing touches include short sleeves and a cut out at the round neckline.